This photograph shows the expansion of the Menninger Clinic in its original setting to include the West Lodge and how it was adjoined to the East Lodge. 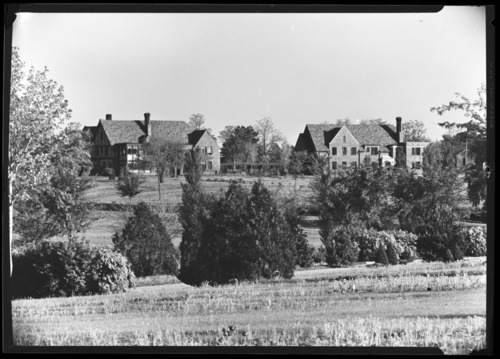 At a time when custodial care or asylums were the only alternatives for the mentally ill, the Menninger family brought a positive commitment to psychiatry. They did not believe that the fate of mentally ill people was to be warehoused; they believed mental illness could be treated.